Around this time every year a team of people within our Trust focus on gathering responses and produce reports for the NHS Staff Survey. This Survey helps each member of staff put forward their views on how they’re feeling at work – meaning we can look at how to make future improvements where it’s needed. With this in mind, over the next few weeks our “Faces of SaTH” will be people that have been involved in this process; particularly those who have helped us implement changes as a result of staff feedback. How long have you worked at the Trust? What improvements have you made as a result of last year’s NHS Staff Survey? 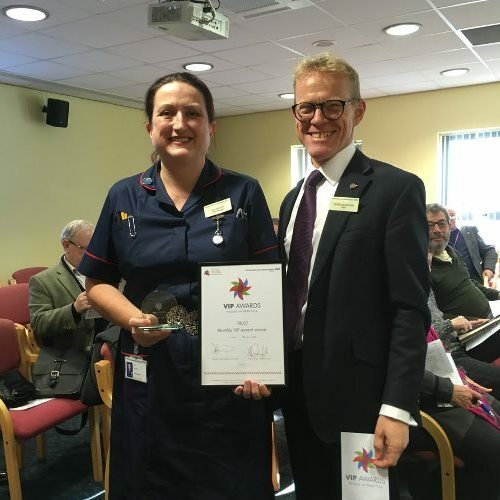 It came across in last year’s survey that staff felt unappreciated – to try and show this isn’t that case, we on ward 11 now have a staff member appreciation of the week and month. 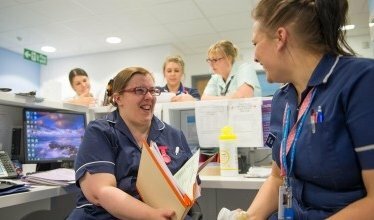 Why is it important to you that your team fills out the NHS Staff Survey? We can’t change things if we don’t know how people are feeling – they tell us. Why is it important to you that you listen to your team and support them to make changes to improve your services? What’s one thing your team doesn’t know about you? This is a hard one as we share lots of things about each other! I suppose even though I may appear to cope well, that I also struggle sometimes. But I do feel supported by my team and my boss too. And I own and ride a 1050cc Tripmph Sprint Motorbike ( brum brum ) !